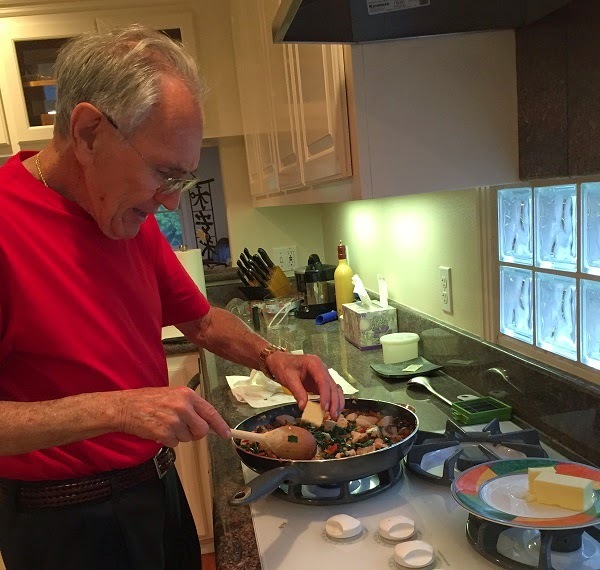 My 80+ year old father-in-law is working on learning to cook. We have collaborated on one dish (Ken's Chicken Dinner) that I consider a winner. I'm defining a winner as something that you are willing to make (and eat) every week or so. I'm hoping we have a second winner. 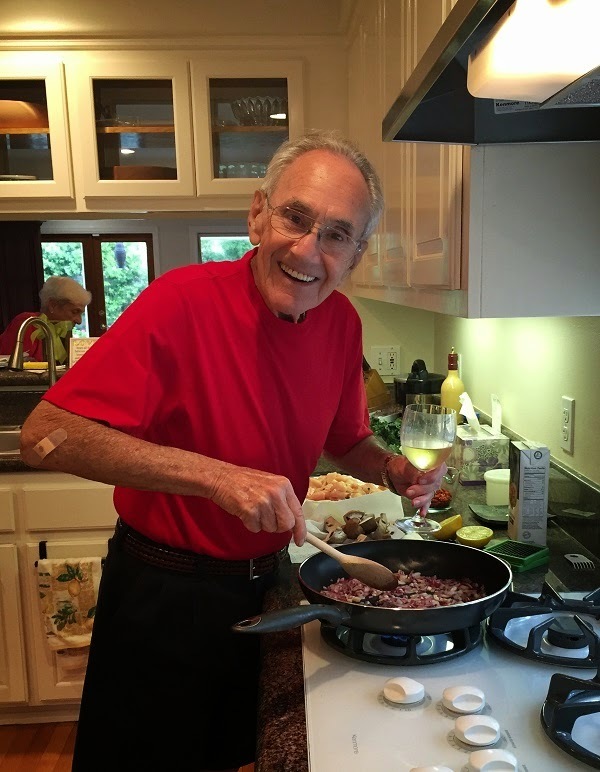 But I think that an important part of learning to cook is to make the same thing over and over. To get a feel of how hot, how brown, what is enough (or too much), how to season.taste. To be able to make it without reading step by step through a recipe. To know what substitutes work. Of course, I then add my constraints, like it should have a lot of vegetables and not have any full-of-crap shortcuts (like condensed mushroom soup). Coat a large sauté pan in olive oil (about a tablespoon) and heat over medium high heat. When hot, add garlic and onions, sauté until onions are starting to brown. Add chicken and sear until chicken is brown on one side. Turn cubes, then add mushrooms. Cook until the mushrooms are starting to release moisture, stirring occasionally. Add the sundried tomatoes and broth. Stir to loosen any brown bits in the pan. 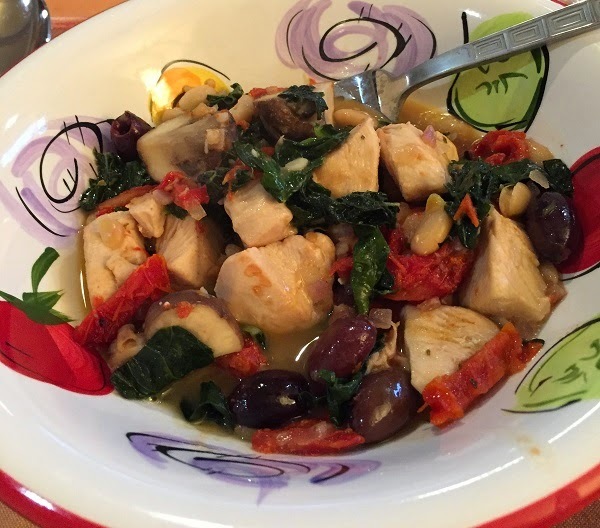 Bring to a simmer, then add kale, olives and beans and stir until the kale softens into the liquid. Bring back to a simmer. Add the lemon juice, then add cold butter one piece at a time stirring constantly until the butter is dissolved and the sauce is thickened.